Thinking of embarking on a family adventure to beautiful Italy? 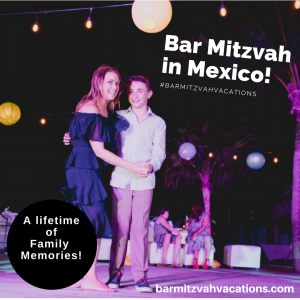 Have you considered combining this a once-in-a-lifetime vacation with a Bar/Bat Mitzvah for your adolescent child? 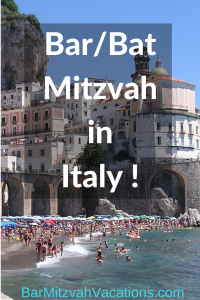 Bar Mitzvah Vacations offers the unique opportunity of a B’nai Mitzvah in one of many intimate settings in Italy: a lovely village in Calabria, a Roman hotel courtyard, or an outdoor terrace scented with Italian lavender. Start planning an unforgettable vacation for family and friends!